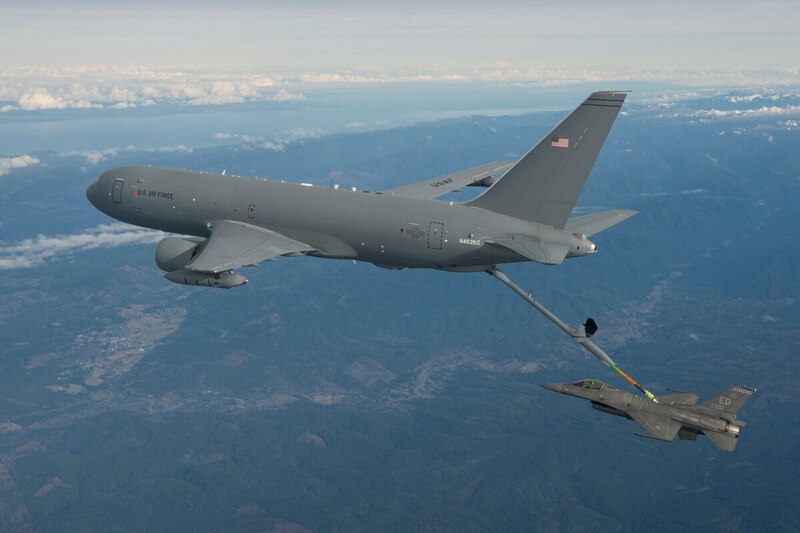 WASHINGTON — The US State Department on Wednesday approved a potential $1.9 billion sale of KC-46A refueling tankers to Japan, moving Boeing one step closer to finalizing its first international deal for the aircraft. According to a Defense Security Cooperation Agency notice, the proposed deal includes four KC-46A aircraft, the associated Pratt & Whitney Model 4062 engines needed to power the plane, plus one additional spare. Japan would also receive training and support as part of the agreement. Those aircraft will be equipped with the ALR-69A Radar Warning Receiver and Miniaturized Airborne GPS Receiver — both from Raytheon — as well as Northrop Grumman's AN/AAQ-24(V) Large Aircraft Infrared Countermeasures system. Japan announced its intention to buy the KC-46 last October. The agreement was a major coup for Boeing, which has fought to find its first foreign customer for the tanker. The KC-46, which just recently was cleared for US production, has gone head-to-head against the Airbus A330 Multi-Role Tanker Transport, which has been seen by some as a less risky option because it is already in use by a number of militaries. Earlier in 2015, South Korea announced it had opted to buy the Airbus A330 MRTT instead of the Boeing aircraft. Allies in the Asia-Pacific region have turned to the US government for equipment and training in response to what they see as an increasingly aggressive China and North Korea. Although Congress must approve any foreign military sales agreement, this deal is likely to be uncontroversial because of the US military’s close relationship with Japan—something the DSCA emphasized in its statement. "The proposed sale increases Japan's capability to participate in Pacific region security operations and improves Japan's national security posture as a key U.S. ally," it stated. "This proposed sale will provide Japan a needed capability to a close ally and support U.S. security interests in the region." There are no known offset agreements associated with the sale, according to the DSCA statement. The US Air Force plans to buy 179 KC-46s.